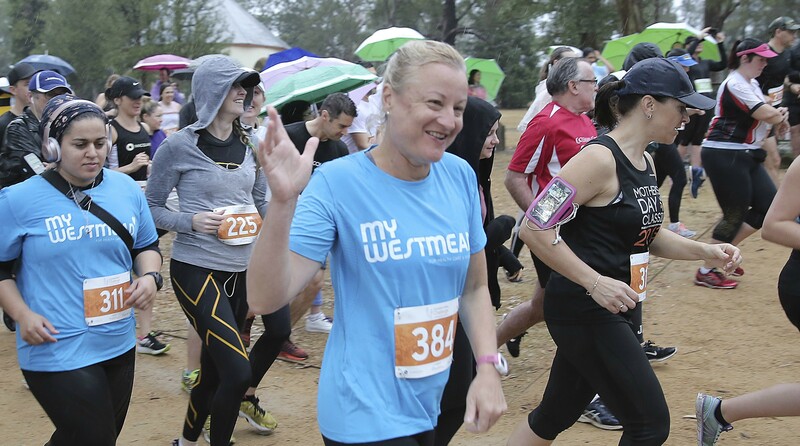 Donna Garland from Westmead Hospital’s Women’s and Newborn Health team participated in last year’s Coleman Greig challenge. Want to have a fun morning, enjoy a delicious breakfast and make a difference? If so, you will need to save the date for this year’s Coleman Greig Challenge. Businesses will come together on Friday, September 21 to run, ride or walk in Parramatta Park. The event aims to raise money for children with special needs and newborn care. For the third year in a row, the Westmead Medical Research Foundation (WMRF) is one of the beneficiaries. Funds raised via the WMRF will go to Westmead Hospital’s Neonatal Intensive Care Unit. Get involved in this year’s Coleman Greig challenge! Coleman Greig Lawyers principal Andrew Grima said the event has raised hundreds of thousands over the years. “The challenge has raised nearly $600,000 for our beneficiaries and the amazing work they do,” Andrew said. Olympian Jana Pittman is an ambassador for this year’s event, along with Western Sydney Local Health District’s (WSLHD) former director of supportive and palliative medicine Dr Phillip Lee, who is a cyclist enthusiast. Last year, more than 50 WSLHD employees joined the challenge. WHERE: Parramatta Park. A celebratory breakfast will be offered at Old Government House. HOW MUCH: Visit website listed below to register. Please note there are changed traffic conditions in the park which will be car free until 9am for the safety of event participants and visitors. ← Are you a nurse who loves mums and bubs?